Assistance League Sites > Assistance League - Hawaii > Announcement > Give Us Your Aloha! Assistance League of Hawaii can use your "aloha" as we are one of the many participating non-profit organizations in Foodland's annual "Give Aloha" campaign for the month of September. 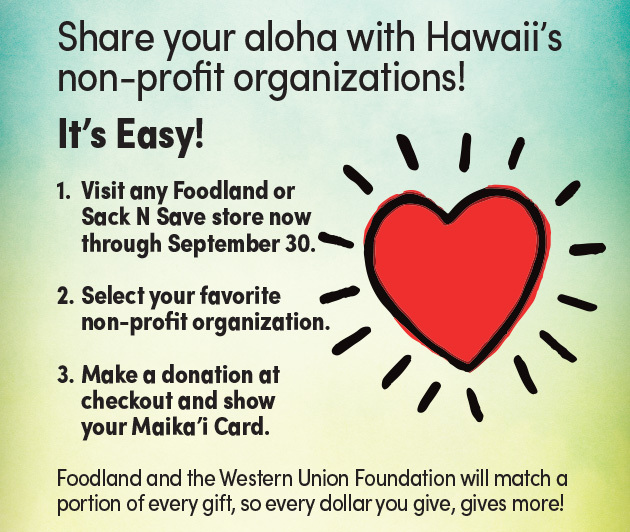 All Foodland Maka'i Card holders can make a donation to their favorite nonprofit organization whenever they shop at any Foodland location. 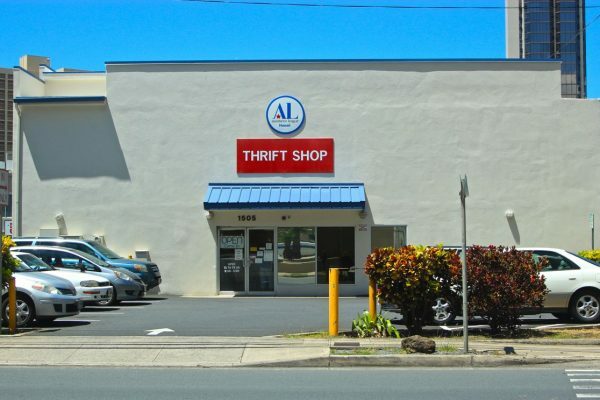 Just tell the clerk that you want to give an "Aloha" gift to Assistance League of Hawaii of up to $249. If you don't have a Maka'i Card, sign up and use is FREE on the spot. The program ends on September 30, so there is still plenty of time to send us some "Aloha!" Details on the "Give Aloha" campaign are on the Foodland website. This year our Assistance League of Hawaii Give Aloha Banner is located at the Dillingham Foodland Store just off King Street in Kalihi.